Karon Thackston (my friend and business partner over at OnlineCopywriting101.com) noticed years before Panda and Penguin that Google seemed to be evaluating keyword use differently. As it turns out, Karon was on to something. My Site Had Good Rankings. What Happened? This was becoming a common question. Many of Karon’s clients that previously had good rankings started noticing gradual declines for no apparent reason. Long story short… Google was changing the way they looked at keywords in copy. 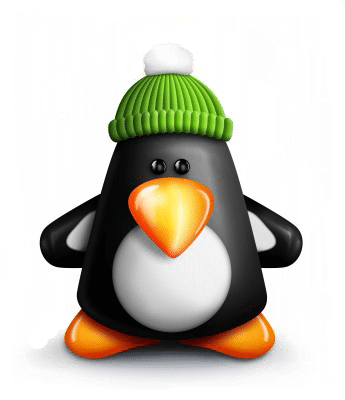 While SEO copywriting is just one element in the overall rankings equation, the updates Google pushed out into Cyberspace with Panda and Penguin were about to change what most people had been doing for years. Once Panda and Penguin came into play everything hit the fan pretty quick. Thankfully, Karon decided to put her knowledge about keyword optimization – and details from an interview with Google’s Matt Cutts – into a mini-video course. In it she walks folks through the exact steps she takes (Post-Penguin) when writing copy for her clients. You might think that, as Google uses more advanced technology, it would be more complicated to get or retain good rankings. Actually, just the opposite is true. As Google improves its ability to recognize and determine what a web page is about, it takes less effort on our part. So, in reality, as Google becomes more sophisticated, keyword optimization gets easier. This is the whole principle behind “Writing With Keywords.” Karon boils down the keyword optimization process into five simple steps. In Module One, you discover why Google did what it did and is doing what it’s doing. (No, it’s not to drive you crazy.) As you realize what Google is looking to accomplish, it takes a bit of the mystery away and leaves you with some clarity about getting good rankings. 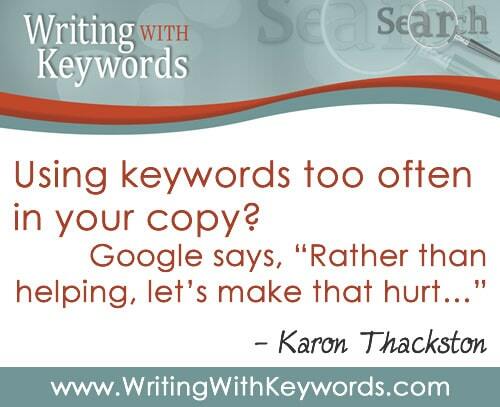 Next, Karon takes you through the five specific steps to use when optimizing copy for keywords. No complex formulas or industry mumbo jumbo… just easy-to-understand action steps you can quickly grasp and put into practice. Throughout the training you’ll hear references to Google’s call for natural-sounding copy. 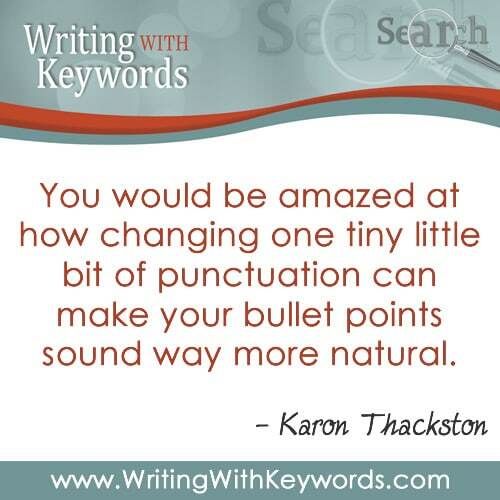 And Karon helps you out with this, too. Modules Two, Three and Four deliver brilliant ways to write copy using keywords that sounds perfectly natural. With these clever techniques in your back pocket, you’ll be able to write copy that doesn’t give the slightest hint of over-optimization. “Writing With Keywords” is not one of these long, drawn-out courses that will take you six months to work your way through. With just four modules (five videos total), you can literally be finished with the course and ready to start making changes to your copy within 3 hours. One thing I particularly appreciate is that Karon kept each video module short so you don’t have to carve out hours of time at one sitting. Like I said before, SEO copywriting is just one part of the overall rankings equation, but it’s a significant part. For me to finally be able to understand the changes that have come into play over the last two years and do something about it is a big relief. 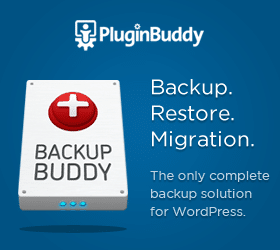 Will your “Writing with Keywords” work with sites using WordPress? I have noticed my rankings have dropped and figured I would check again after the search engines crawl the site. Is it true the search engine’s are updated once a month? 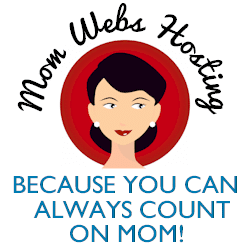 Keywords are important on any website no matter which content management system is being used. Generally the regularity with which search engines crawl sites is correlated with the frequency of new content on the site. If you post every day, your site is generally indexed every day. If you only post content once a month, the search engines will only visit once a month. Thanks for your clarification, Christine. Makes perfect sense. A lot of people freak out when they see their rankings fall. Then they get very frustrated because no matter how hard they try they can’t get back to the position they were before. And this is because Google is getting almost human-like in its ability to rank pages. It can’t be manipulated any more. So it’s best not to try. I think the best option is to do what you can re keywords, make sure the page reads well and is unique, and share it on social media. Then not worry about it. You might not get exactly what you want from Google. But if your content is good and humans like it the search engine will pick this up eventually and reward you accordingly. Good points Matt. Thanks for weighing in.